This razor uses Gillette Mach3 blades which deliver a close, irritation free shave providing you use sharp blades and a good shaving technique. This razor is heavier than the plastic throw away razors now produced by Gillette. As such the balance is perfect and the heft of the razor feels just right in the hand. Suitable for all skin types and beards. Gillette Mach3 technology uses three blades that extend gradually closer to your beard, to give you a close shave without irritation. For best results, use with a RazorPit Blade Sharpener, get up to 150 shave from one blade. After applying a pre shave treatment and your shaving soap or cream to your face, dip the razor into warm water and begin to shave. We recommend that you shave twice with the grain and once against the grain. This Mach3 will allow you to have a closer, more comfortable shave with less tug and pull. Not the one for you? 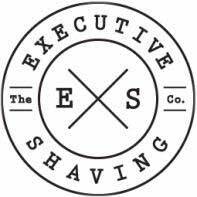 Click here to browse the complete collection of razors that we stock here at Executive Shaving.